Hope everyone has been surviving the summer heat (with the random light showers thrown in). Osaka has been pretty nice, but it rained on Tanabata which ruined my festive plans that dayヽ(=´Д`=)ノ. I still got to write my wish though. The day after. 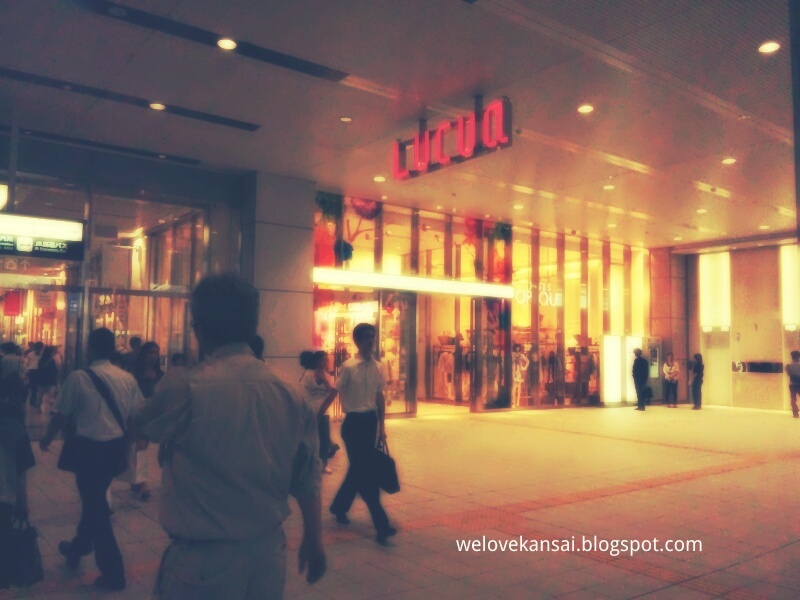 LUCUA is located by the JR trains, subway system, Hankyu and Hanshin trains. If you have your choice of lines, I would suggest the JR lines, because the station is right next to LUCUA. Station names: JR Osaka Station, Hankyu Umeda Station, Hanshin Umeda Station, Midosuji Umeda Station, and Tanamachi Higashi Umeda Station (the colored ones are subway lines). If you're coming from a rail other than the JR, you'll most likely be dumped into a vast underground mall. Then your best chances will be to follow the signs to the JR Osaka Station or, if you're feeling ballsy, follow the signs for LUCUA. If you go through the JR Osaka Station, you can exit at the Chuo Kita Exit, or another exit (which I don't know the name of. Sorry~~ヽ(；´Д｀)ノ). Once you've entered, just take a moment to enjoy the glamour of the shops around you. Sure, you've probably seen most of these stores in another shopping centers in another part of Japan (or the world, a handful of foreign brands here too), but maybe it feels a little different. After that, either prepare to waste lots of money or prepare to be disappointed. This place is expensive. 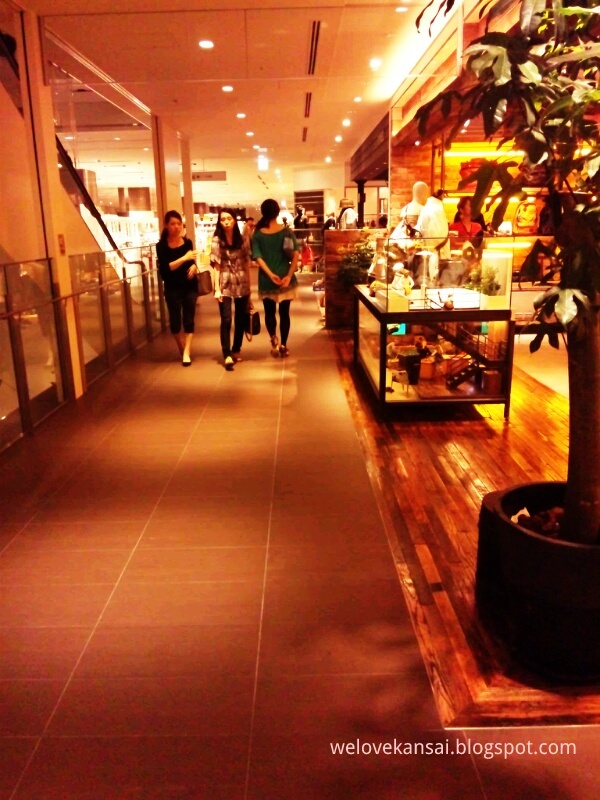 I should've known when I didn't really see anyone under 22 wandering about aimlessly(・＿・。). I would say LUCUA's target shopping is the married woman with her husband who is well into whatever company's he's a member of. He has to be if his wife is going out to blow over $250 on a vest (was a gorgeous vest though(ﾟДﾟ#). Or maybe she's one of your independent women types still living with her moms, so she's able to blow her paycheck on a shopping trip. 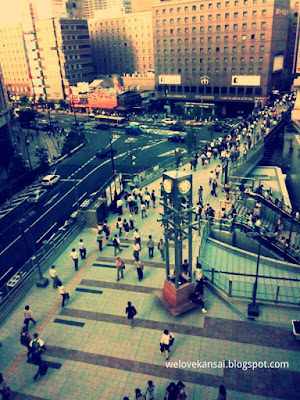 Whatever the case, I couldn't enjoy myself on my pitiful salary, so I stuck to looking and touching('A`). But not everything in LUCUA is stupid expensive. I found a Top Shop somewhere on the upper floors (5F), and though it was more expensive than I was expecting, it was easily one of the cheaper shops. They also carried brands you'd find in more "hip(younger)" places like EMODA and MURUA (though they aim for more older girls sooo... I might have negated myself a bit..). Though LUCUA didn't have much going for me with it's shops (I did want a Hysteric Glamour belt, but decided I should save my $150 for something important like food or the electric bill), I did enjoy the view from the large windows next to the elevators. They also have a couple floors that open up to courtyards outside. 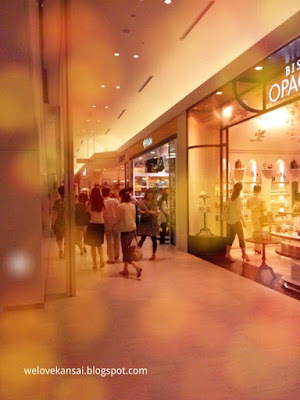 I think that does a lot to alleviate the closed-in, sometimes claustrophobic feeling that comes with shopping (or maybe that's just me（；’Ａ ’）). 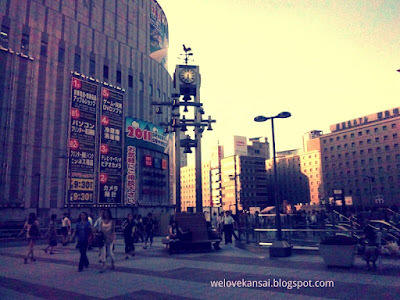 Overall, it's not a bad place to shop, but there are definitely more varied and cheaper places to go in Osaka. One thing I totally enjoyed, and would definitely go back for, was the buffet..! !